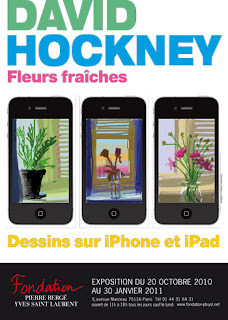 David Hockney, ever the experimenter, has found a way to capture and present his art, via the iPad. Here's a link to his latest exhibit. His art involves vibrant color, dreamy images, and the fascination of seeing the work evolve. Perhaps that's the best part of this new creative experience, witnessing the artist constantly change the essence of the object. And as such, seeing the object continually redefined in terms of form, texture and color. I find the process hypnotic. And the interview on the web site illuminating, like his work.